Click to see a larger version of these Ukrainian stamps. A recent acquisition – a block of unused mint postage stamps from Ukraine. These feature wonderful folk pictures of windmills and country life. 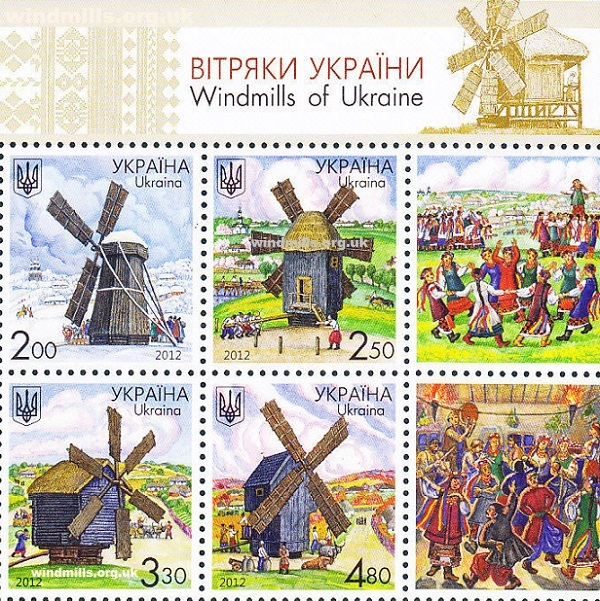 This entry was posted in Uncategorized, Windmills and tagged stamps, windmill on September 14, 2013 by Tower Mill.